Product prices and availability are accurate as of 2019-01-12 20:41:09 UTC and are subject to change. Any price and availability information displayed on http://www.amazon.co.uk/ at the time of purchase will apply to the purchase of this product. 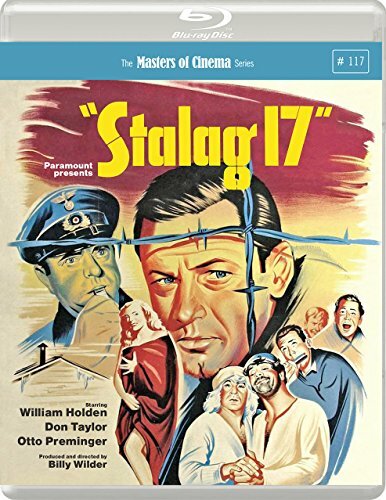 William Holden and Don Taylor star in this classic Second World War drama directed by Billy Wilder. After two American prisoners are killed trying to escape from the notorious German camp Stalag 17, the blame for their betrayal falls upon the cynical, self-serving Sergeant Sefton (Holden), whose dealings with the enemy isolate him from his fellow inmates. But does Sefton's disinterest in team bonding and group morale necessarily mean he is the traitor in their midst?